Brumby's is one of Australia’s most iconic bakeries. 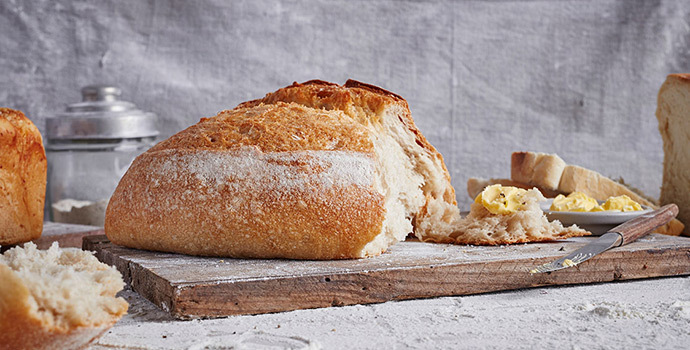 With a history of baking fresh bread every day since 1975, Brumby's Bakery has been providing thousands of loyal customers with an enormous range of quality, preservative free bread baked daily on the premises along with exceptional customer service. As Brumby's also recognises the need to be fully aware of exactly what mix of ingredients goes into all products sold at our store, all our ingredients are milled to Brumby's specifications, so there are no surprises for us or for our customers. Brumby's Bakery is locally owned and operated and supports numerous charitable, community and sporting organisations. Our Brumby’s store offers their customers freshly baked breads, savoury pies and sausage rolls, delectable sweets and slices, and coffee. Brumby’s Coffs Harbour are located opposite Terry White Chemist at Park Beach Plaza.